Any “adventure ride” is going to require sleeping outside at some point to make it a true adventure, so some equipment is probably going to be helpful. I decided that a tent, sleeping pad and bag were what I was going to use. For my tent, I found a Coleman Phad x3 tent. It seems to be one of their “higher end” tents. 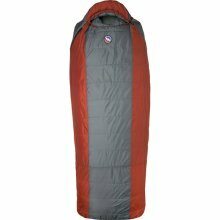 Packs really small, has a small vestibule to put wet, smelly gear in so you don’t have to sleep with, and not crazily expensive. 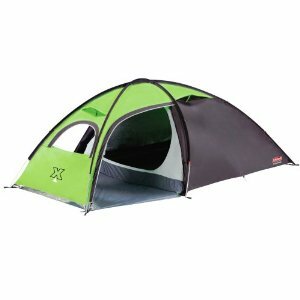 It’s also billed as a 3 person tent, but I think you’d have to be really small or really like the other 2 people in there with you. Sleeping pad was next. I’ve used the rolled foam pads in the past, and frankly, they’re not the most comfortable for me. I wanted an inflatable pad, but one that I didn’t have to blow up with lung power or carry an air pump. I found the Exped DownMat 7 LW. The LW is for long and wide. This mat is plenty large for me at 77″ x 26″ x 2.8″ thick! It’s also got down stuffing in the pad, which helps insulate you from the ground on those colder spring and fall trips. It pack down to about 11 x 5″. The coolest part is that mat has a built-in inflation pump. The last item I purchased was a sleeping bag. I pretty much got tired of doing research, found a bag that seemed like it would be good enough, and ordered it. I went with a Big Agnes Hog Park bag, and I really couldn’t be more impressed! It’s rated for 20 degrees. It’s a semi-rectangular bag, which means its a rectangular bag with a “hood” so it’s kind of like a mummy bag with more shoulder and hip room I guess. Big Agnes bags are made figuring you’ll use them with a mat anyway, and that the insulation on the bottom of the bag will just get crushed under you while you are sleeping and not do much good, so they don’t have any. They put a sleeve on the bottom into which you insert your camp pad. Pretty slick, keeps you warm, bags packs smaller, and you can’t roll off of the pad. This bag is really cool compared to all the older bags that I normally use. Of course, it costs a lot more than most of those bags too.